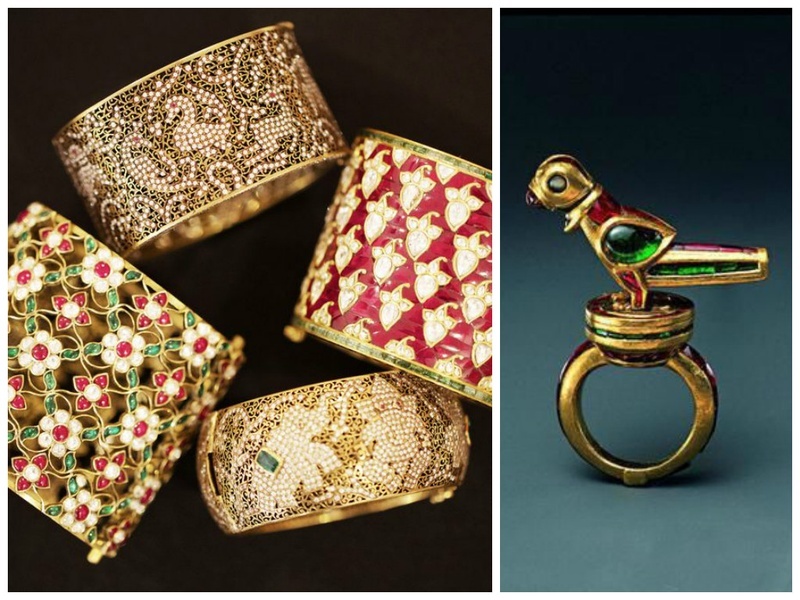 Mesmerizing Mughal Jewellery Designs for the Vintage Royal Bride! From Aishwarya Rai to Deepika Padukone, our Bollywood beauties have totally rocked the Mughal jewellery style. Assisting you to find your ideal bridal jewellery match we have compiled a list of a Mughal jewellery styles that can flawlessly suit any bridal attire and lift your wedding look up a notch. Demand for this splendid jewellery design died with its era. But, thanks to the movie Jodha Akbar, jewellery stores fully stocked these gorg jewellery pieces as bride’s demand rose to ape the style of the leading pair from the movie. Though the movie release dated 8 years ago, the Mughal jewellery style is still in vogue with ace designers till date experimenting with bridal fashion incorporating these unique jewelry pieces studded with chunky gemstones and enamelled motif designs. Segregating this exquisite Mughal jewellery collection into categories we make it all the more easy for you to pick a style that best compliments your bridal outfit. You can simply hand over this design guide to your jewellery maker or sort to jewellery designers like Amrapali, Nirav Modi and Chand Begum who craft exceptional pieces that are hard to find and can go on to be heirloom jewels. Pearl additions perfectly setted with gold details make this nathni stand out!